TNPSC Answer Key: TNPSC Group 4 Exam has been conducted on 11th February 2018 in Tamil Nadu. The exam was conducted on more than 6900+ exam centers, 20 lakh+ candidates appeared for the exam for 9000+ jobs. Interestingly, more female candidates applied for the exam this year than male candidates. The TNPSC Group 4 exams were started at 10 AM. The answer keys of TNPSC Group 4 2018 exams are expected to release shortly by many private institutes online this afternoon around 3 PM. The negative marks details and final answer keys can be downloaded online today. 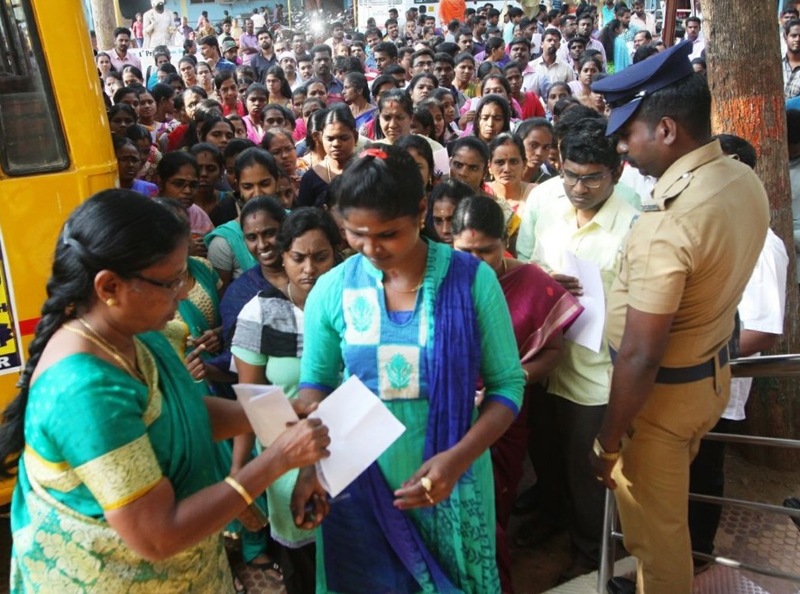 8,311 absentees for TNPSC Group IV exams in Kanyakumari district today. Of the 55,523 aspirants who were supposed to take up the exams in the district, 47,212 wrote the exam.